The birthplace of the western world awaits you. 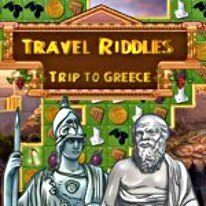 Travel to Greece and unlock its secrets, through a series of challenging riddles and puzzles! Journey from the capital city of Athens, named after the goddess Athena, to the ancient sanctuary of Delphi, home to the oracle of Apollo, and to the religious complex of Meteora. Every level is more difficult than the last, but the pay-off and benefits revealed are more incredible than ever! Travel through one of the most beautiful countries in the world, while learning not only about the past, but the present! Your journey around the world continues! -Learn the secrets of Greece through more than 200 levels.